2) This is an example of one of those minor changes, and shows the cover as it appeared in the mid-1990s. 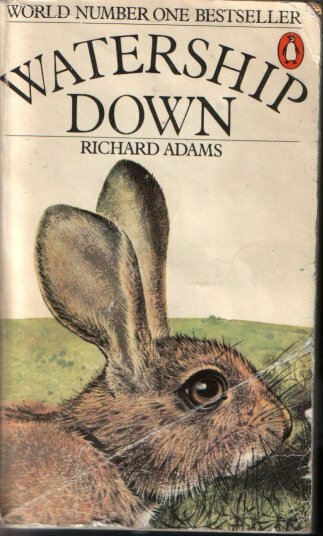 The most interesting change is that Richard Adams' name has been promoted above the title, replacing the "World number one best seller" text from the earlier version. 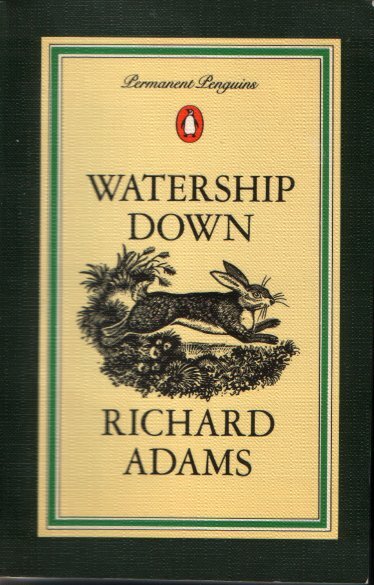 The Penguin logo has also moved, and the text, "One of the great novels of the century" has appeared to the right of the rabbit's ears. 3) Here is the current Penguin cover, illustrated by Paul Robinson. And yes, that is a cowslip you see on the front. This cover was first seen around 2002, though generally in a rather better condition than the one you see here! 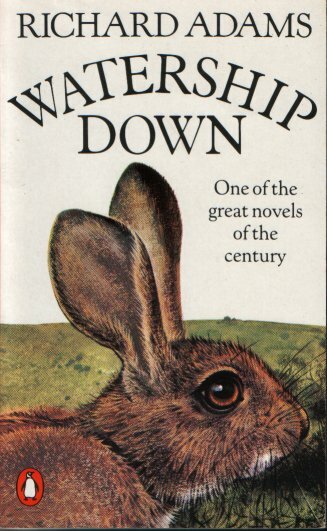 All I can say in my defence is that Watership Down makes excellent bathtime reading... =;) Not a lot else has changed, except that there are a different selection of review quotes on the back cover. 4) Tie-in merchandising wasn't the huge industry we know today back in the 1970s, but nevertheless Penguin did produce this special edition in 1978 to cash in on the film's success, showing the classic image of Bigwig in the snare (despite the fact that this shot doesn't actually appear in the film!). Inside, it is exactly the same as the normal Penguin edition. 5) The Penguin Modern Classics edition of 2001 departed dramatically from the conventional run of WD cover designs. 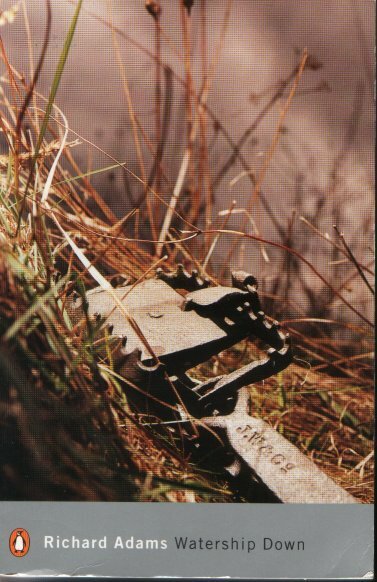 Instead of a drawing of a rabbit, we got this striking photo by Roy Mehta of a metal trap. The book is about half an inch bigger in each direction than the usual editions, and is particularly noteworthy for a very interesting Introduction by literary critic Nicholas Lezard. 6) Again slightly oversizes, the 1983 Permanent Penguins edition is one I know very little about the rationale for. 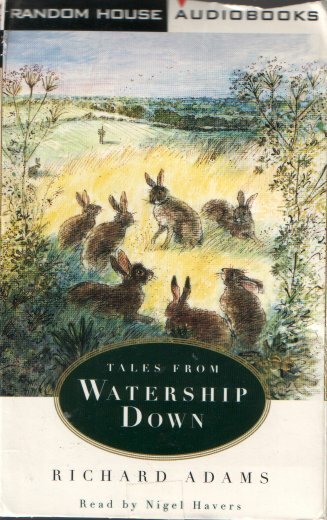 "Permanent" may refer either to the higher-quality binding, or to the fact that Watership Down had been continuously in print for the ten years since its release. It has been reset (in Palatino rather than the usual Penguins' Monotype Baskerville) and the cover is by Lawrence Myknott. 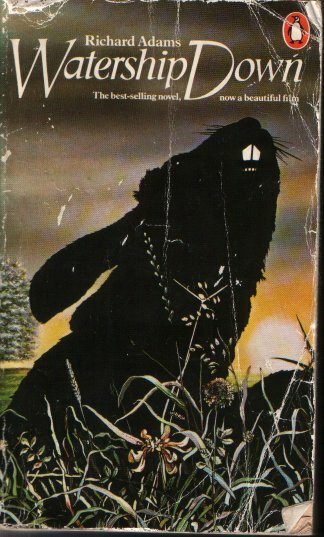 8) Watership Down's extraordinary success can be illustrated by pointing out that at one point, it was available in Penguin, Puffin, Penguin Modern Classics and Puffin Modern Classics editions simultaneously - four different imprints from the same publisher! This 1993 Puffin Modern Classics edition is, like its Penguin equivalent, slightly larger than usual, and the (deliberately) rather old-fashioned cover design is by John Butler. There's an Afterword by Nicholas Tucker, but only the early editions have his complaints about sexism in the book; either he has since changed his mind or Puffin have changed it for him! 9) The 1975 Book Club Associates hardback edition is notable for several reasons. Firstly, it's one of the minority with a photographic cover, in this case by Jane Burton. Secondly, it uses a reduced-scale, two-colour version of the original map that Marilyn Hemmett drew for the Rex Collings edition, and this is printed on both endpapers. And unlike most editions, it is based on the second Rex Collings edition, which means that it has the revised ending to chapter 11 with no mention of "Hazel-rah." There are also a few extra chapter epigraphs. 10) Yes, you're right: this isn't a cover! 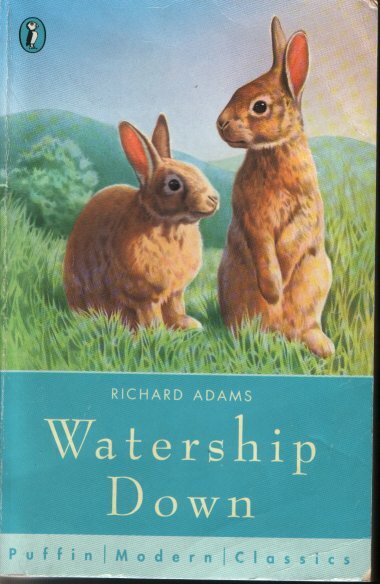 That's because the 1976 illustrated edition (co-published by Penguin and Kestrel Books) came in a slipcase, and the only way I could afford what is a very collectable book was to buy one without that slipcase! 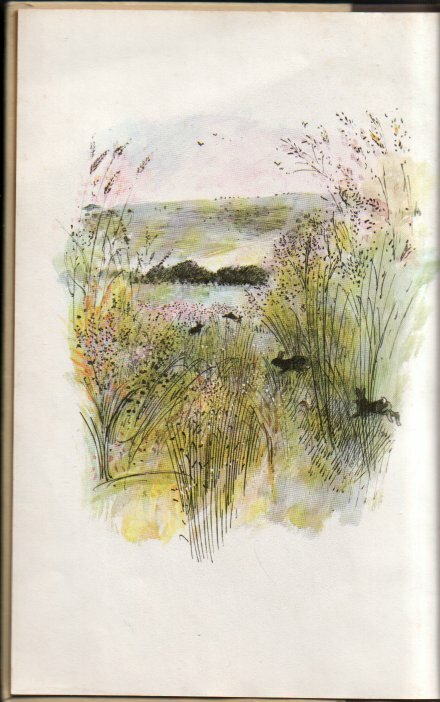 So what you see here is the frontispiece, which shows the beautiful style of John Lawrence (who also did the cover for the hardback version of Tales from Watership Down. Best of all, the book includes the four-colour fold-out map from the original Rex Collings books. 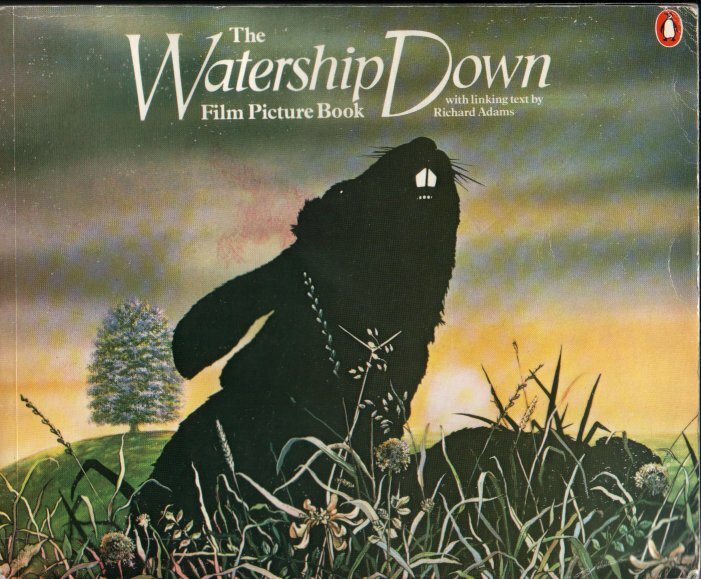 1) This book was produced in 1978 to accompany the Nepenthe feature film. It is a little under A4 size, and consists of around 250 stills from the film, one or two of which didn't actually make it to the screen. 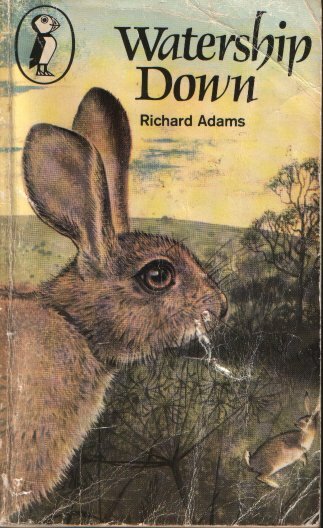 Richard Adams contributes an explanatory line or two to each picture, and also a preface in which he tries with, it has to be said, less than total success to sound enthusiastic about the film. =;) There's also a foreword by Martin Rosen. 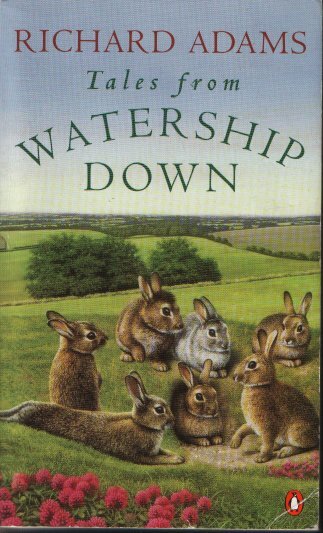 2) Tales from Watership Down appeared in 1996 to enormous, and probably unrealistic, expectation... which it inevitably failed to live up to. 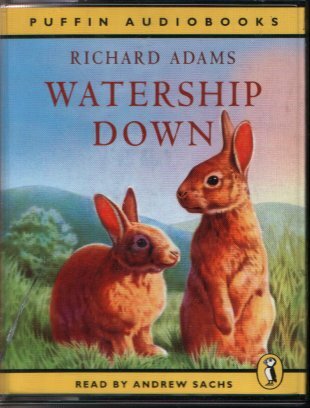 Like its predecessor it was published in both Penguin and Puffin editions, but interest waned to the extent that the book is now out of print in the UK (though not, interestingly, in the USA). 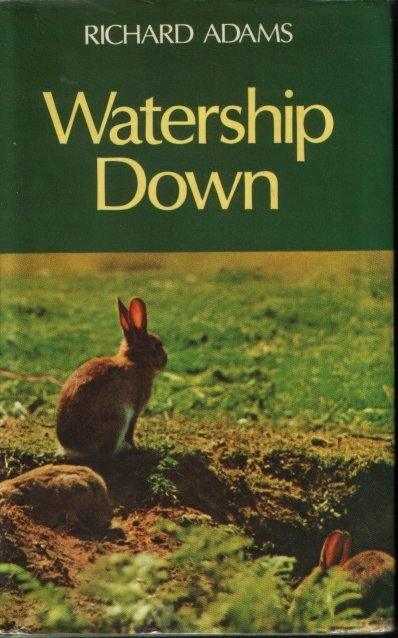 This 1997 Penguin edition appears to follow the design of the current Penguin edition of WD itself, a feeling reinforced by the fact that Paul Robinson drew both cover designs... but in fact it's the other way around; when this book came out the earlier novel was still using its older cover. 1) This 1997 Puffin audiobook runs to four cassettes, with a total running time of about five and a half hours. It's adapted by Neville Teller, who also did the BBC Radio 4 version, and is read pretty much straight by Andrew Sachs - yes, that's the same Andrew Sachs who used to play Manuel in Fawlty Towers. 2) This 1988 reissue of a 1970s release is considerably shorter than the Sachs reading, at just under three hours, and so fits onto two tapes. It's really a semi-dramatised account rather than a straight reading, with Roy Dotrice adopting many and varied accents for the characters - the "ee bah gum" Blackberry is unforgettable! =;) This version also benefits from some lovely incidental music by George Butterworth. 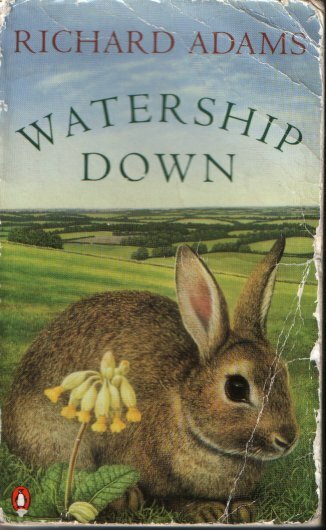 3) An audiobook of Tales from Watership Down was released in 1996, but it's now very hard to get hold of, so I was delighted to be able to get my paws on this US edition through eBay. 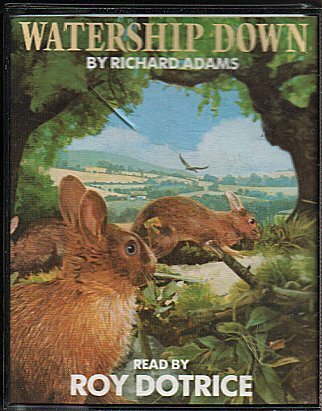 It's nicely read by Nigel Havers, yet runs to only two cassettes, most of which are taken up with El-ahrairah stories; there are only a few chapters of those set on Watership Down itself. Copyright © David "Loganberry" Buttery 2004. Updated 10/05/04.